For practitioners of all types, whether you’re practising traditional or alternative medicine or you’re a therapist who needs a private, comfortable space to meet clients, a SMART garden office space provides an ideal peaceful setting for any consultation. 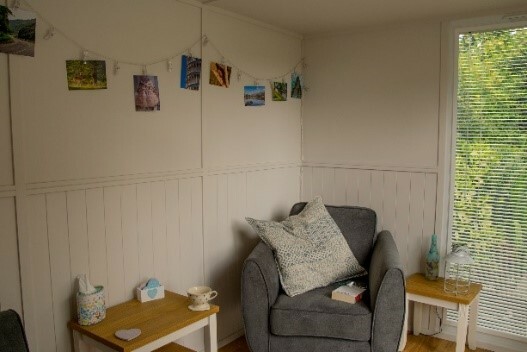 Rented office or consultation space with long or expensive commutes to get there and back can all be a thing of the past with your own garden consultation suite. 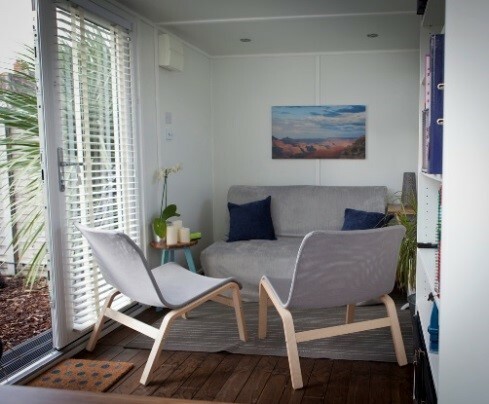 The versatility that a SMART garden studio brings is unsurpassed – these multi-functional rooms can encompass garden office space alongside comfy sofas and soft, warm, welcoming lighting. Style and decorate your consultation room and design its layout to perfectly suit its required function, taking into consideration things like natural light and the need for storage. Our modern SMART clip-in frame blinds also add a touch of privacy to your garden office space when needed. Clients will feel far more comfortable in the private, professional surroundings of a SMART garden studio over a spare room in your house. The perfect ambience in your consultation room will leave a far better impression on your clients. The peace and tranquillity of a garden office space can only enhance the experience, bring the serenity and beauty of your garden into your workplace.